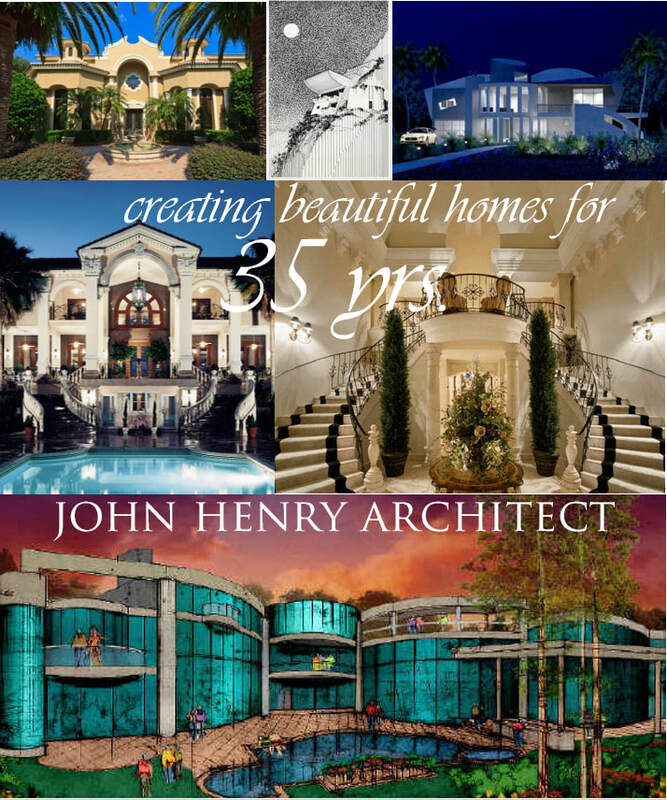 John Henry Architect, one of the top mansion designers in the United States, has been creating luxury homes for over 30 years in Florida, California, Delaware, Mississippi, Alabama, Tennessee, New Jersey, Texas and in China and Sweden. 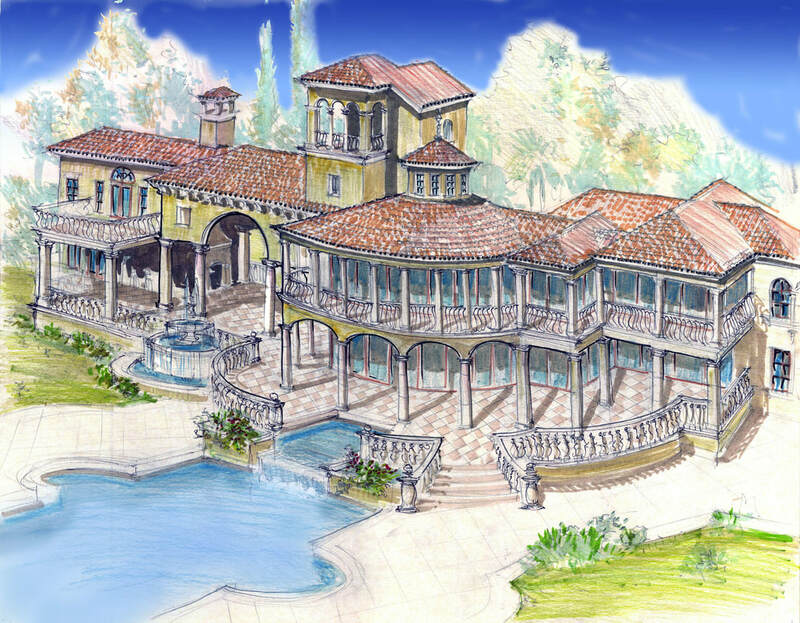 World Class luxury homes have been created in European Renaissance and Contemporary styles. Each client/owner has a particular vision that is translated into a luxury residence using the principle design features of the historic style. A luxury home can be simple or grand in its size and details. What matters are proportions and details to be as true as possible to the intended style. Of course a level of compromise must be taken as the true costs of creating the type of stone buildings and intricate hand worked iron, stucco, and interior details can be astronomical if completely replicated. But convincing results are possible using current modern materials and methods. Period Style luxury homes are recreated the world over because their owners find something exquisite about castles, mansions and villas built during and after the Renaissance, from the 1400s to the late 1800s. In 400 years architects had a common interest in Greco-Roman architecture. The Italians first unearthed their ancestral architecture at the dawn of the Renaissance and deemed that style superior to the Medieval work that was being erected. They realized that there was something 'perfect' about the relationship of columns to beams - a matter of ratios of diameters, heights, spans, and attendant details that they traced back to ancient Greece and realized that from the Etruscans forward their stone masons looked at Greece for inspiration and then replicated their art and building methods. The Romans invented concrete and using bricks were able to create huge vaults and arches with thick walls, taking the trabeated system of the Greeks and using their new methods of construction to build not only temples dedicated to Gods but for the public use. These great structures were then mimiced by the church builders a thousand years later and adapted to private dwellings and palaces. The palaces and luxurious villas of the 15th through 18th centuries are models on which we base much of our period designs today. New modern designs based on Renaissance inspired historic models are considered out of keeping (to put it lightly) by the arts intelligentsia. Similar to representational art (painting and sculpture) designing anything with a nod to the 'past' (primarily before the International Style became vogue in the 1920s) is considered bad taste and deemed unworthy of intellectual criticism and publication. This bias is documented against any type of traditional design in favor of only Modernism and its offshoot movements. No doubt you can build a Modern Luxury Home as well. For many good reasons the bias against traditional architecture has not deterred the majority of homeowners who elect to build a dwelling with historic (pre-Modernist) references. Houses with a normal roof pitch and windows scaled to walls properly in mostly symmetrical layouts are deemed more attractive than flat or twisted roofs, windows and walls. There is a 2,000 year tradition that began with wood and stone houses made by hand that had practical construction techniques which cannot be upended by a machine only aesthetic brought on by the necessity to rebuild quickly after world wars. Traditional design is accessible and understood by all, it is less expensive to execute, it is practical, resale value is higher, and frankly to me at least -- is more inspirational than any modern work. As mentioned above no design is too small or large to be built for the safety, comfort and enjoyment of the Owner. 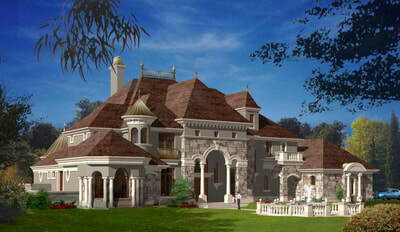 There are many options available to create period style designs of any scale, from starter Mansion to Castle of Dreams. John Henry can design a Schematic Floor Plan and Front Elevation only for initial evaluation and pricing, or continue with a basic Permit Set to designing the architectural interiors. Call John at 407 421 6647 or email him at johnhenryarchitect@gmail.com.